We are very excited that we have the opportunity to feature guest bloggers on the BFM blog. This will be a great way to get another person’s perspective, and allow them the opportunity to tell their experiences as they are inspired to do so. Periodically, we will invite partners, associated bloggers, and ministry leaders to write a guest blog that pertains to their role in the body of Christ. We think it is going to be wonderful to have other people discussing topics in their area of expertise and/or ministry. 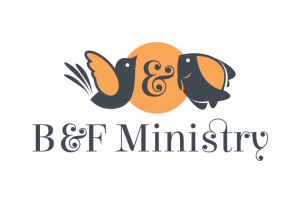 We are looking forward to including others who serve Christ and wish to be involved with the BFM blog! For each guest blog post, we will introduce our blogger and the topic they will discuss. And then they get to take it away! We hope you will find the information they share helpful in your daily walk within your spiritual journey with Christ. We would love to hear your feedback and what topics you would like to read more about as you follow our blogs! Thank you for reading our guest blogs! BFC believes that in order to carry out our assignments, we must practice what we teach. Therefore, we are certainly interested in building partnerships with like-minded individuals and organizations to support our brothers and sisters in Christ. Here, you will meet partners with whom we maintain relationship building efforts to ensure that our organizational goals are not only being met, but also supported. If you would like to connect with our partners, reach out to us on Facebook or http://www.bfministryatl.com.